It’s that time of year again, you can’t go anywhere or tune in to any media outlet without seeing or hearing some kind of commercial touting the Department of Transportation’s ‘click it or ticket’ campaign.‘Click it or Ticket’ marks a high point in a push for greater seat belt compliance. Patrols are asked to vigorously enforce the seat belt laws. Additionally, unmarked and low profile vehicles are utilized. This is not a petty issue. Seat belt laws are unique in that individuals are told to use a certain device in their vehicle, even if it is uncomfortable or greatly inconvenient. Traditionally, in America, free, autonomous adults have been left unencumbered to do as they please in the privacy of their own vehicle, so long as they don’t put other motorists at risk. Beltlessness does not cause accidents. Besides, shouldn’t we all be free to decide for ourselves what risks we’re willing to take in balancing our own well-being with life’s satisfaction which routinely fall in competition? Think of the choice between a burger and fries or a petite organic salad. The principle at stake is precisely the same. And which do you suppose would be the state-sanctioned choice? Most ridiculous, though, is the $100 million doled out to states that have primary seat belt laws. Why is it always about somebody else’s money? I’m from the school of thought where everyone should have the right to do as they please, as long as they are not infringing on the rights of other people. This comes from the political philosophy that inspired our founders. With all of this in mind, I would hope those without special circumstances will choose to buckle up and drive safely. We all have people who care about us. Best not disappoint them. 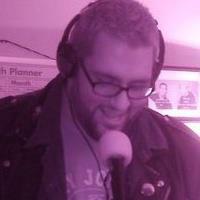 Tony Jones a lifelong Rhode Islander, is a local musician, radio host and blogger. He was a 2014 candidate for Lieutenant Governor, running on a platform that advocated for the elimination of the office. Buy Nothing Day all began way back in 1992 by the Ad-Busters in Canada as a way to resist over-consumption that often times causes people to feel unfulfilled with a large dose of buyer’s remorse after they “shop ‘till they drop.” But since then, Buy Nothing Day has grown into a global phenomenon bringing to light how obsessed our culture has become with consumerism. Even Americans who would not consider themselves to be “wealthy” spend about 20 times more on products, with many of the products coming from overseas, than the average person living in South America, Asia or Africa. Everything we buy has an impact. The United States, with only 5 percent of the world’s population, consumes about one-third of the world’s natural resources and produces half of the world’s non-organic waste. These facts are hard to digest, but it is OUR dollars that keep this wasteful economy going. What we choose to buy and how we choose to shop, has an impact. However, there are some signs that our habits are changing. With the latest recession, some people have no choice but to cut out some spending and, therefore, are beginning to question the over-consumed-way-of-life. They are realizing they might are not as happy as they thought they were, and as a result, are thinking about ways of living that might lead to more genuine satisfaction. A Community Radio Station for N.K.? Whether over the air on via the internet, community radio stations serve to amplify the voice of the people, as they seek to address important issues in the community that can be largely ignored by other media outlets. It can also as serve as a tool for promoting local arts & culture, local business and civic involvement. There is also the opportunity to broadcast and archive important town council, financial and school committee meeting for those who are unable or unavailable to attend, which can help lead to an informed and engaged community and a more politically active town. LPFM law allows for 100 watt station to broadcast to a town or neighborhood in a 5 to 10 mile radius. In the past, stations have helped quasi-rurally located farmers stay connected and victims of hurricane Katrina find food and shelter. Thousands of new community and internet radio stations are on the horizon from coast to coast, why not in North Kingstown? Instant-runoff voting (or IRV) is a voting system used for single winner elections in which voters can rank candidates in order of their preference. In an IRV election, if no one candidate receives a majority of first choice votes, the candidate with the fewest number of votes is eliminated, and ballots cast for that candidate are then redistributed to the remaining candidates according to the ranked preference that the voter has indicated. When the votes are tallied, should no candidate reach the required 51 percent of votes that would ensure an actual mathematical majority then the candidate with the fewest number of votes is eliminated and those votes are reapplied to the remaining candidates based on the number 2 choice as indicated by the voter. With IRV no longer is the voter asked to select one the “lesser of two evils” or in the case of the major party, often times low-turnout, primaries we would be left with a candidate that best represents the choice of the people. Instant-runoff voting would invigorate the election process, as it would afford the voter the chance to vote by picking the candidate they honestly feel would be the best person for the job and not get caught up in worrying about a wasted vote or who they think is actual going to be the winner. This would be a great way to get people back into the political process. Instant runoff voting is much fairer than the current “vote for one” system. It would surely shake-up Rhode Island’s political landscape. FYI: There is a proposed Constitutional amendment for Instant Runoff Voting (IRV) this Wednesday before the House Judiciary committee. We agree with you that Congress should obey the Constitution. We should never engage in foreign wars without a congressional declaration of war, a restraint on military action put in place by our Founding Fathers to ensure lawmakers never send our troops to war without deliberation. But a constitutional war in the Middle East is just as bloody, destructive, and likely to incite terrorism as an unconstitutional war. Our half-century of interventions in the Middle East have been a colossal failure. We have provided arms, military training, and subsidies to virtually every country in the region, inciting continual war and unrest. This has created a breeding ground for international terrorists that pose a real danger to our country and the world — one that would not have existed had we kept our noses out of the affairs of other countries. U.S. military interventions have put our troops in harms way, separated them needlessly from their families, and led to tens of thousands of American deaths and casualties — plus many more losses for innocent citizens of foreign countries. We agree with your father, Ron Paul, who for decades was a lonely yet brave voice in Congress for peace. He was right when he called for getting the U.S. military out of the Middle East. Everyone knows that you're posturing to get the Republican nomination for president in 2016. But for this long-shot hope of winning the nomination, you have endorsed a roster of hawkish Big Government Republicans — from Mitt Romney to Mitch McConnell. And now you're calling for sending our troops back to Iraq, which will be a death sentence for many of them. Just how much can your long-shot presidential bid be worth? Is it worth the lives of these young men and women? The Libertarian Party says, "Absolutely not!" While we agree with your view that no funds should be allocated to an illegal war, a policy of non-intervention remains the only just and reasonable approach to dealing with the Middle East — a land halfway around the world where the United States does not belong. Your bid for a declaration of war against ISIS is unjustifiable and dangerous. Please withdraw it immediately. Tuesday, November 18, 6:30 p.m. – 8:30 p.m.
A timely community discussion about the future of marijuana policy in Rhode Island. Four states have now adopted policies to treat marijuana more like alcohol, and several other states are expected to vote on similar ballot initiatives in 2016. Polls show that a majority of Rhode Island residents support regulating and taxing marijuana. Lawmakers in our state have introduced and studied a serious proposal to establish a system of licenses, taxes, and oversights to allow adults 21 and older to purchase small amounts of marijuana from regulated businesses. It is crucial that we open up a public conversation and promote dialogue on this important issue facing our state and our nation.